These are the finest quality OEM replacement seat belts available for all '84-'96 Cherokees. Our authentic reproductions maintain the highest safety standards that meet or exceed 209/302 FMVSS and all parts and workmanship are guaranteed. 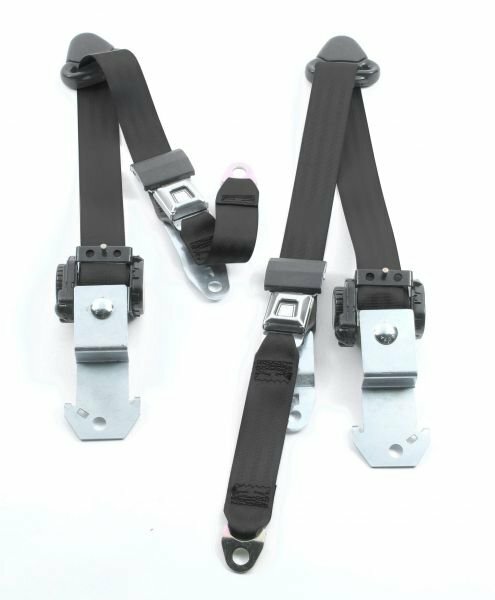 Our line of 84-96 Cherokee Seat Belts are the finest replacements available on the market and interchangeable with the factory end releases (available separately). All retractable seat belt mechanisms are fully enclosed to keep out dust and debris. Belts are available in 27 different webbing color choices and require no vehicle modifications to install. Simply remove your worn or damaged belts and install our new replacements with your existing fasteners. Installation instructions included.